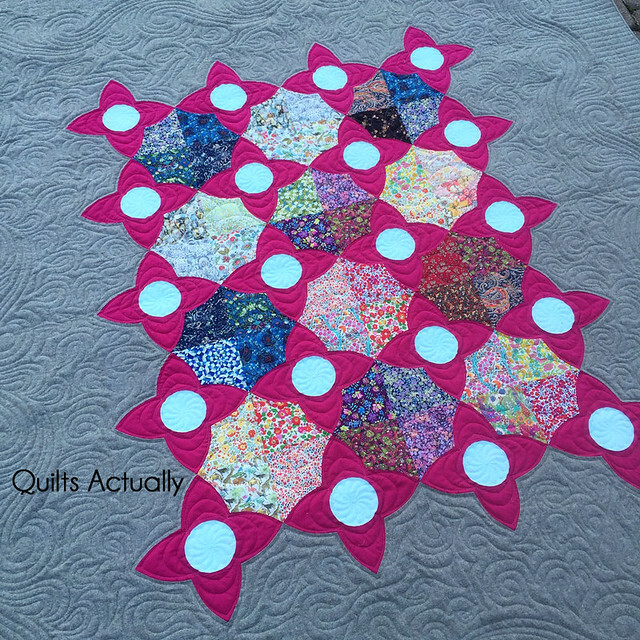 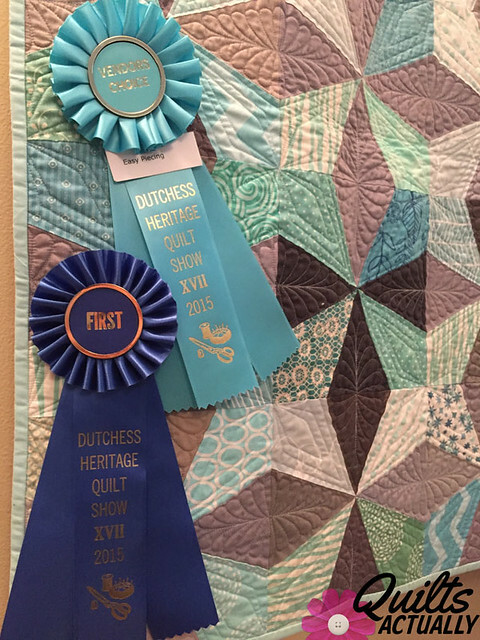 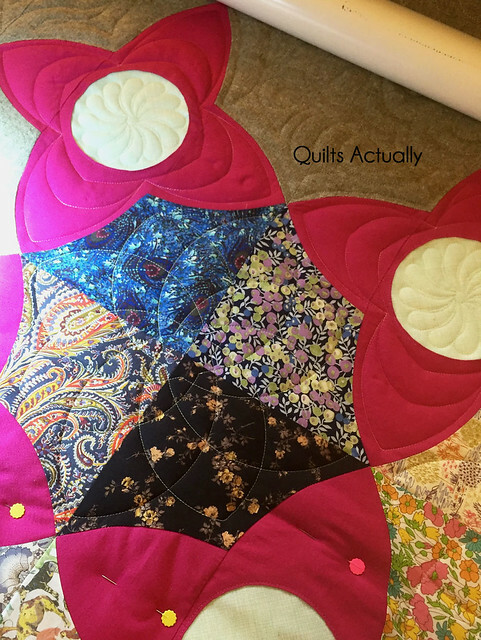 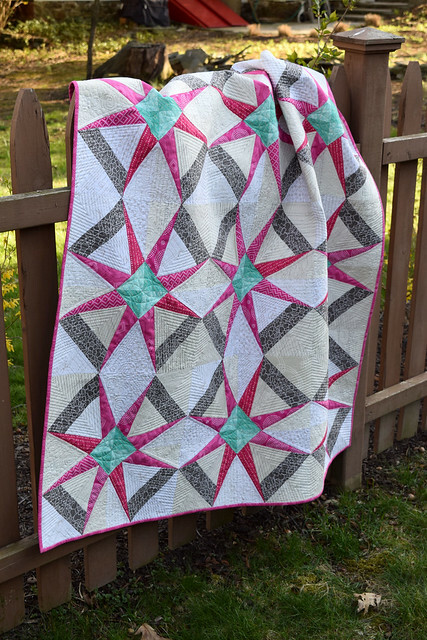 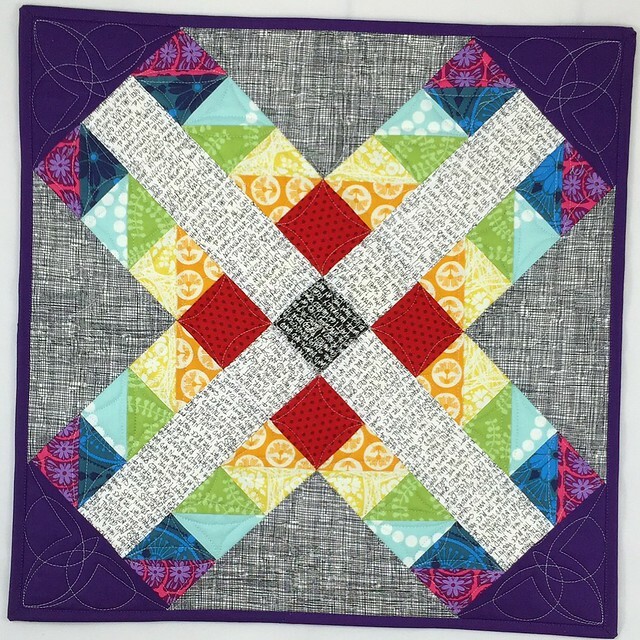 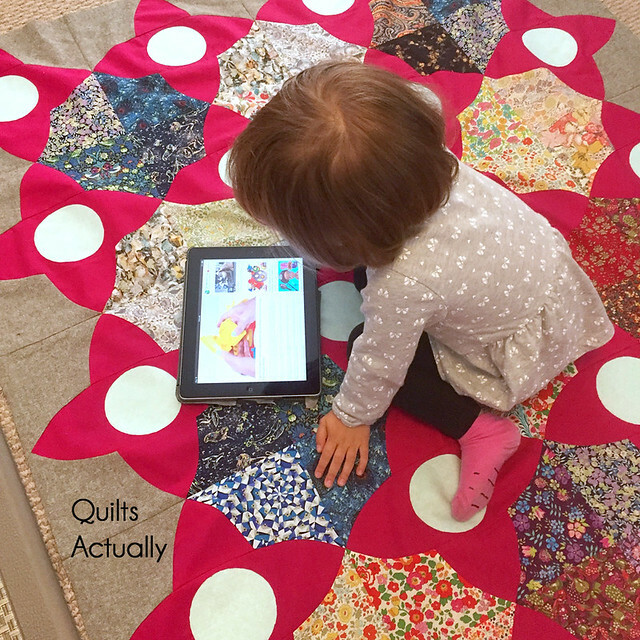 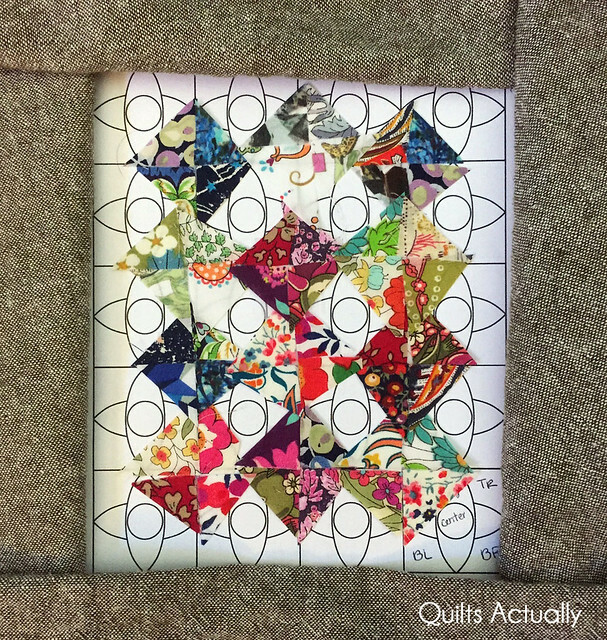 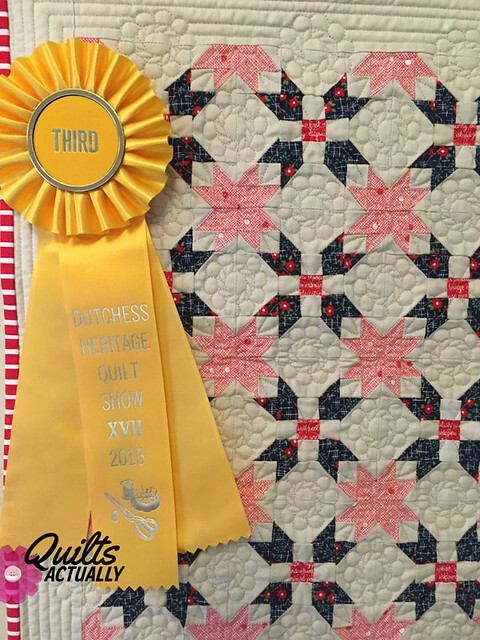 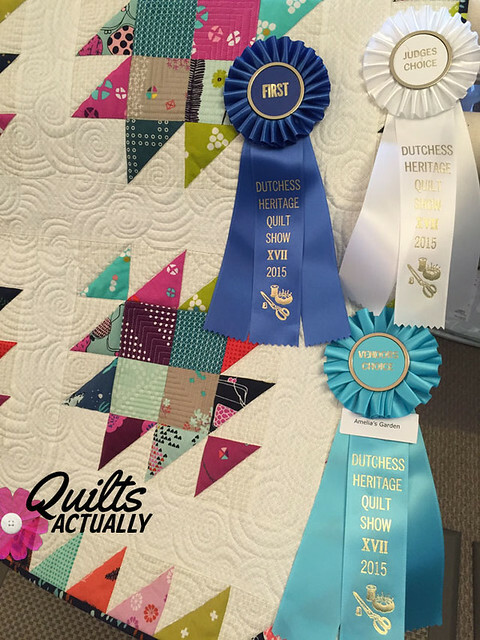 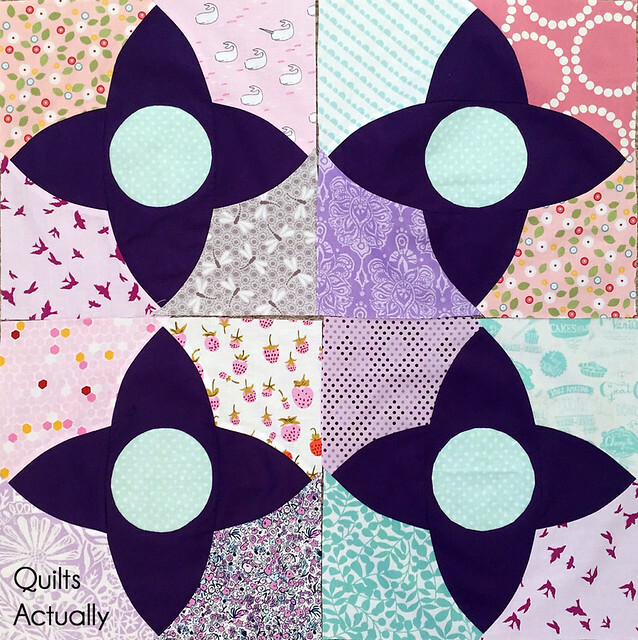 I have to admit I’ve gotten caught up in the mini quilt mania that is going around, and also gotten caught up in a few swaps. 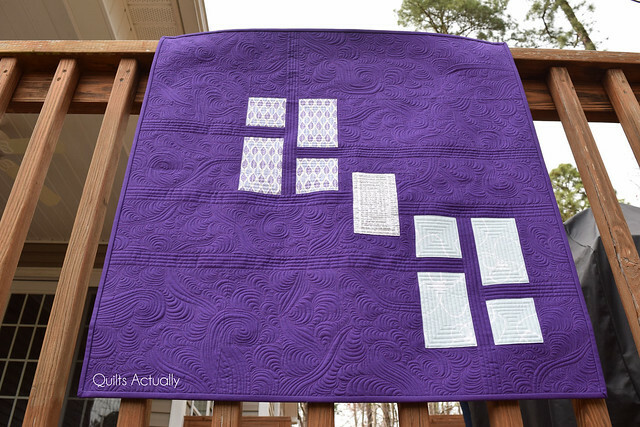 It’s not like I really have extra time to be devoting to swaps, which is why I’m probably not going to participate in any more big swaps (until the next amazing opportunity comes up that I can’t say no to), but I really enjoy that they push me out of my comfort zone and challenge me to come up with new designs and color palettes that I wouldn’t necessarily come up with on my own. 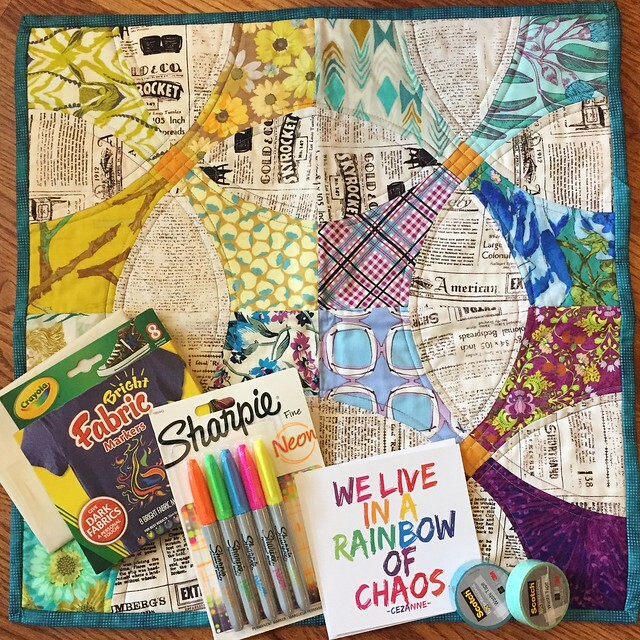 The latest swap was the Rainbow Mini Swap. 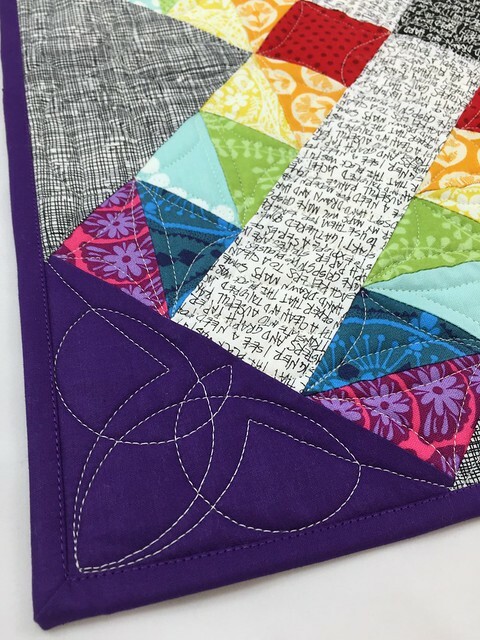 Rainbow is a big trend right now that I am embracing, albeit as a late adopter. 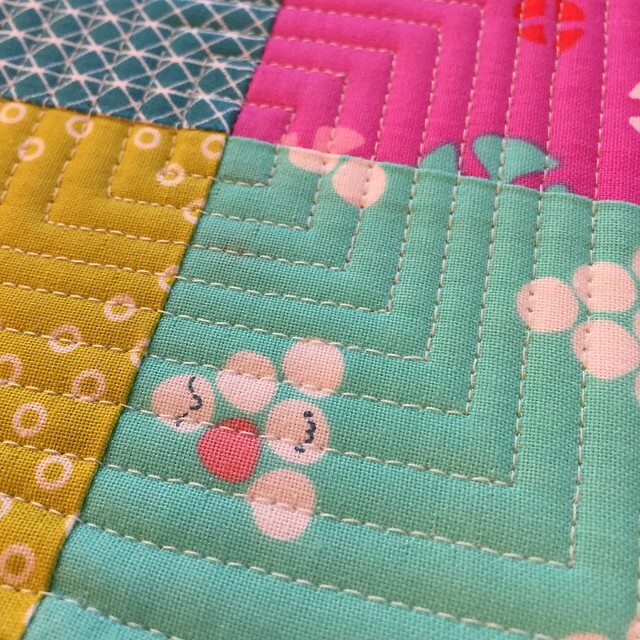 I made this mini quilt for @SGThings (Instagram). 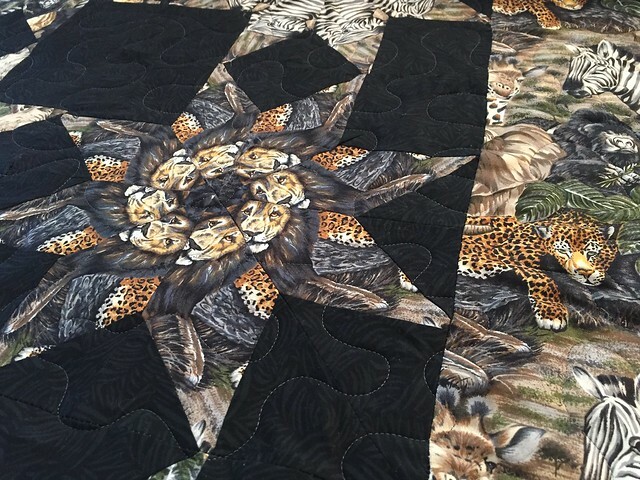 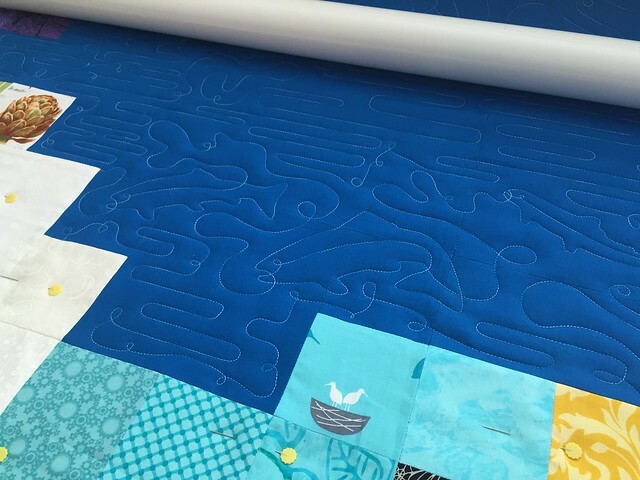 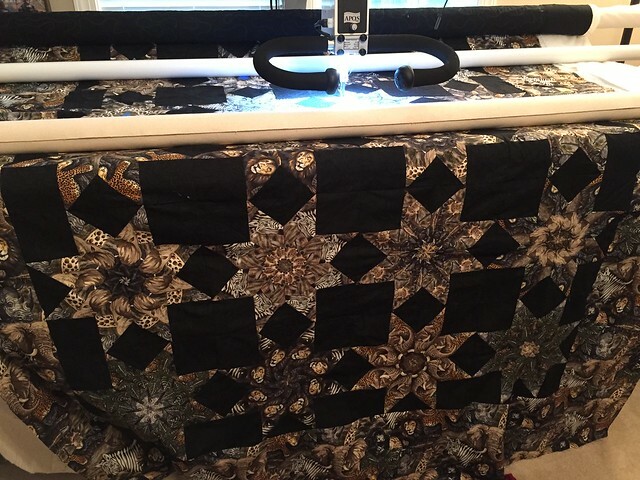 At my recent Carolina Longarm Association meeting, one of the newer members was surprised that I put small things on my longarm. 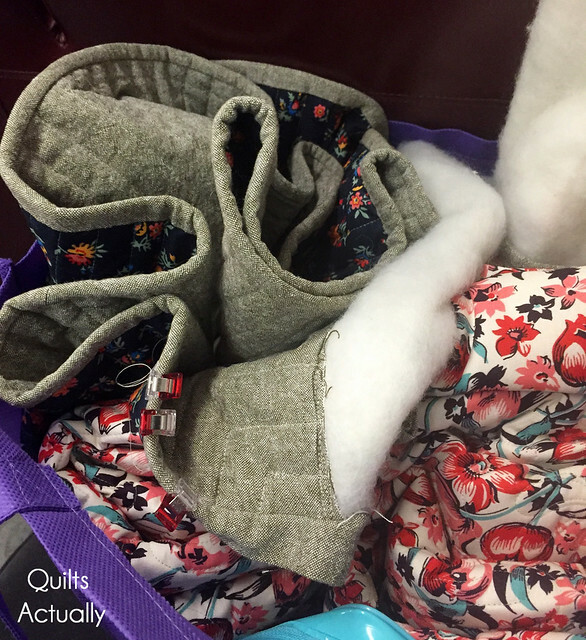 I think she felt like it wasn’t worth the effort to load or didn’t make very many small items. 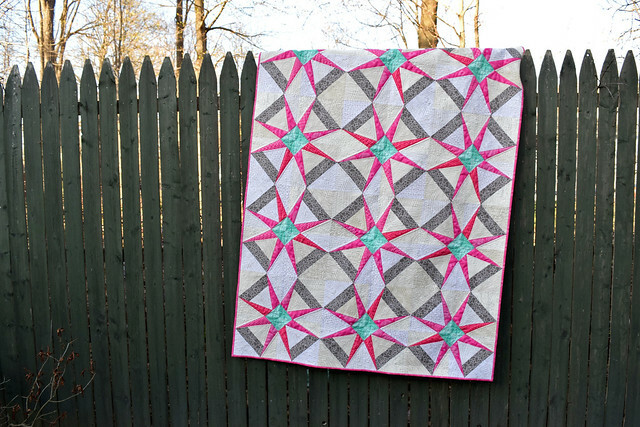 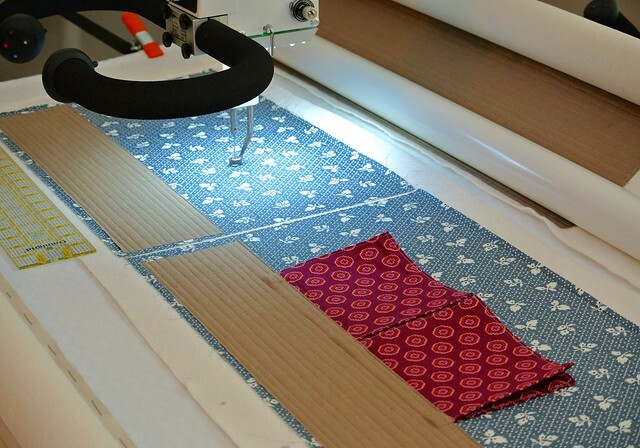 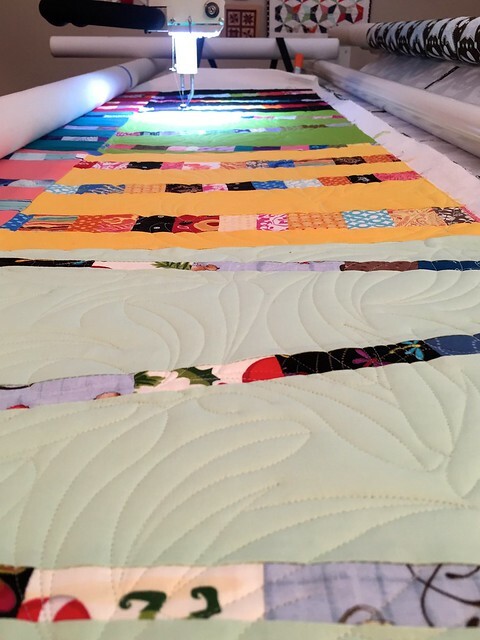 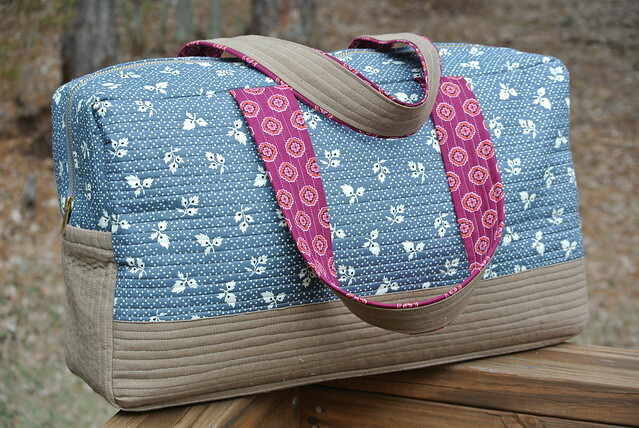 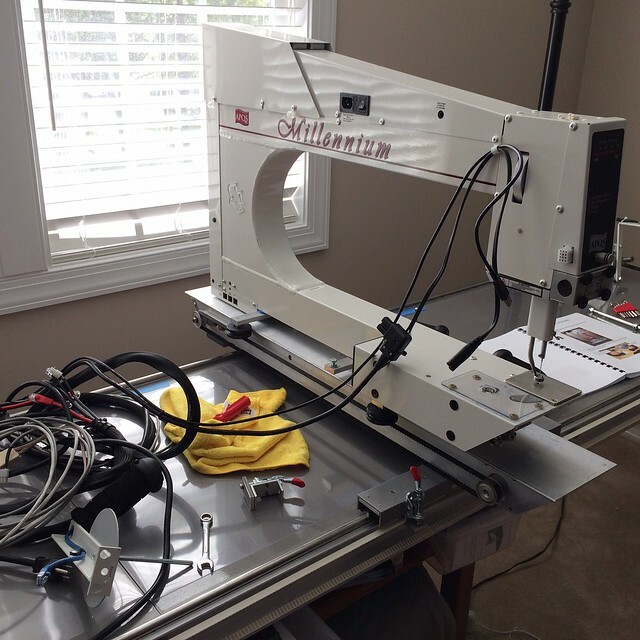 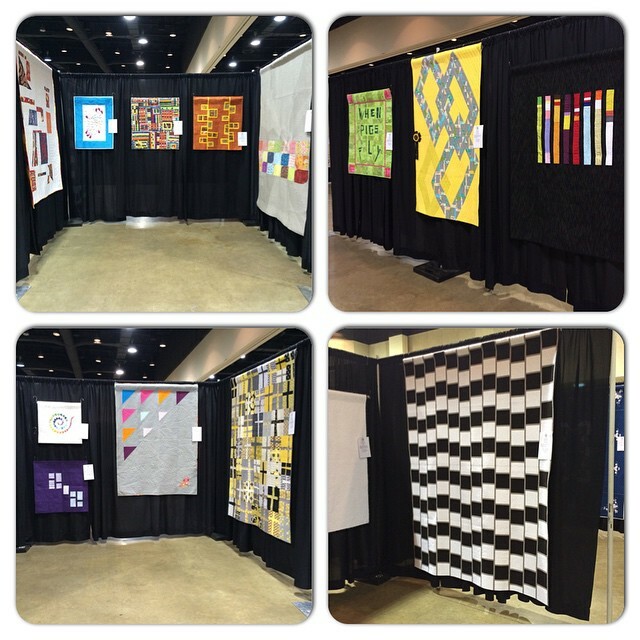 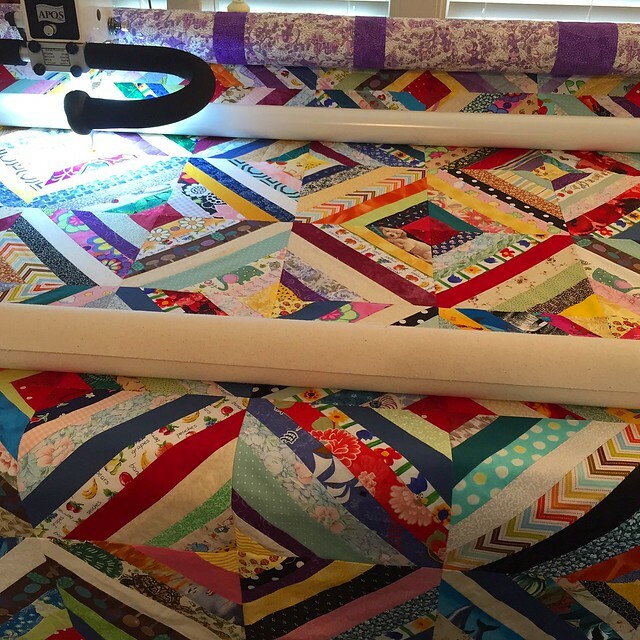 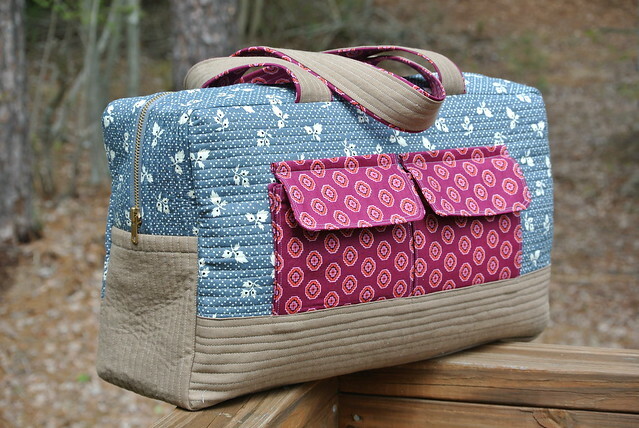 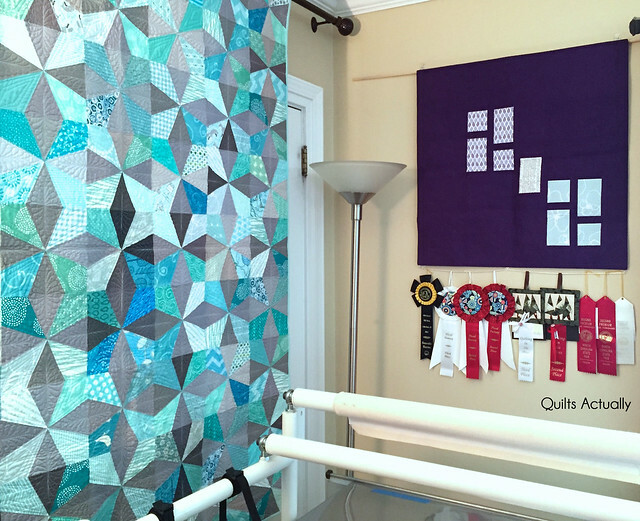 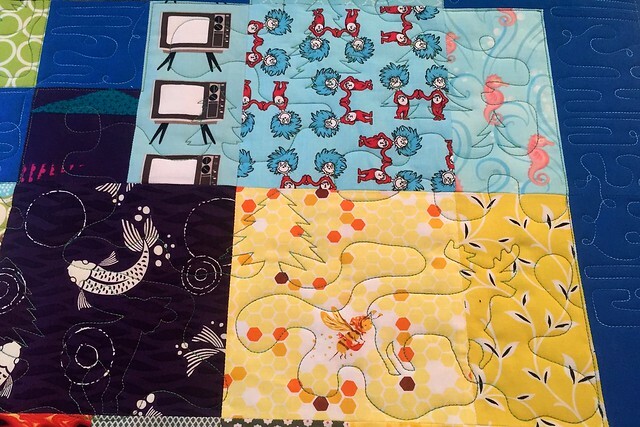 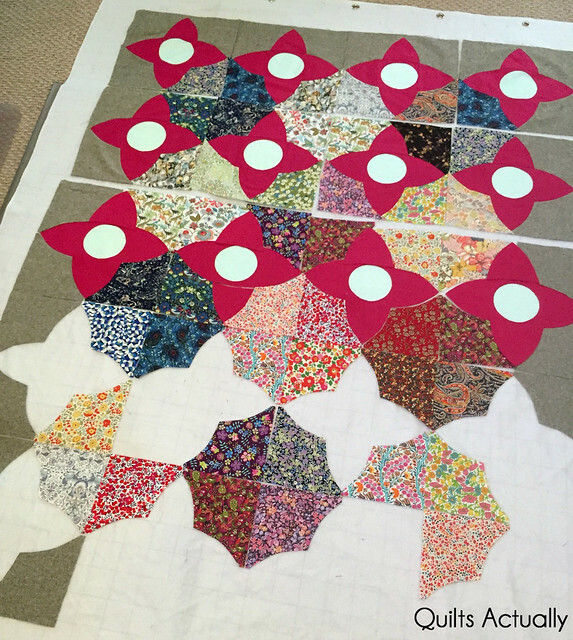 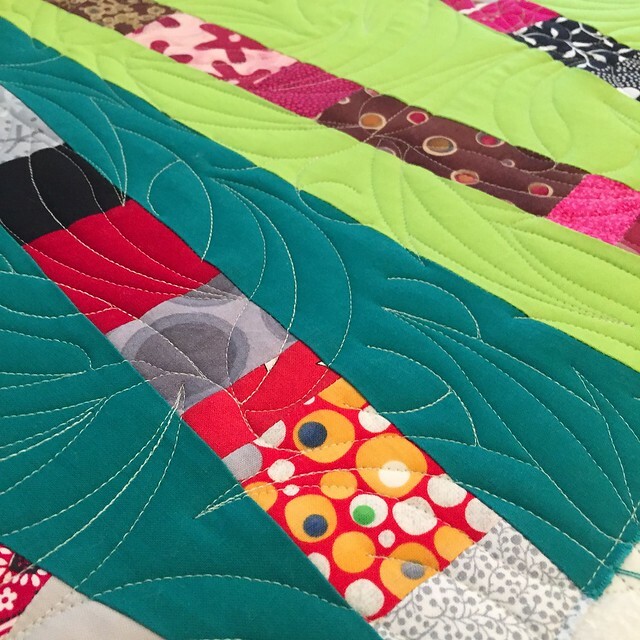 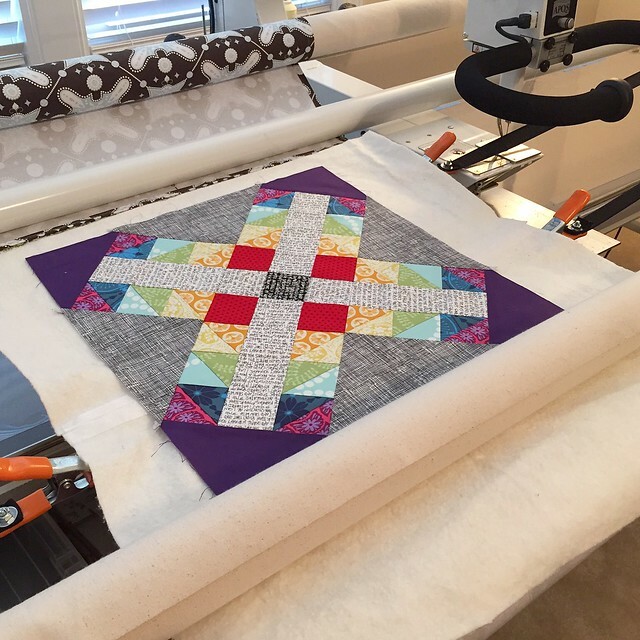 I put everything on the longarm, big or small! 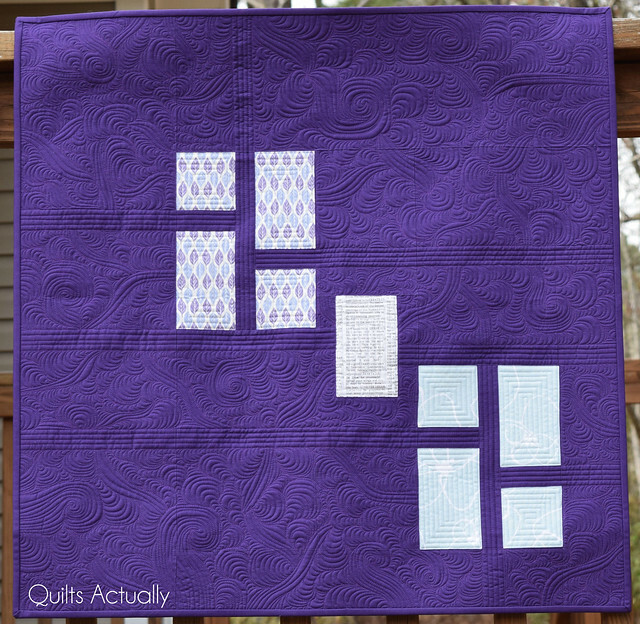 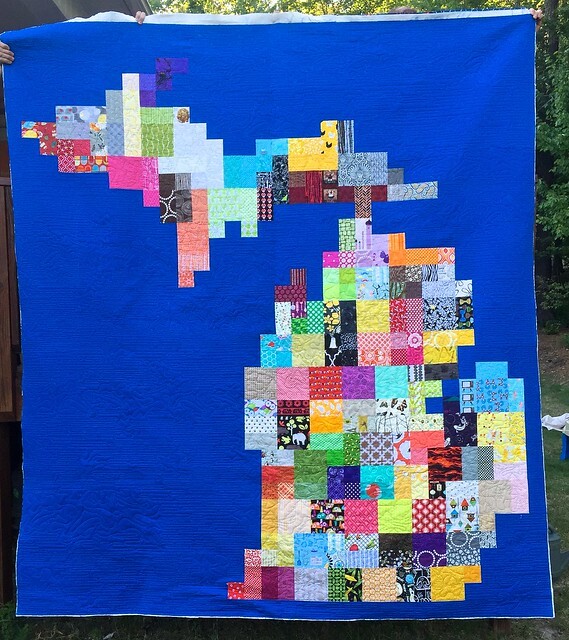 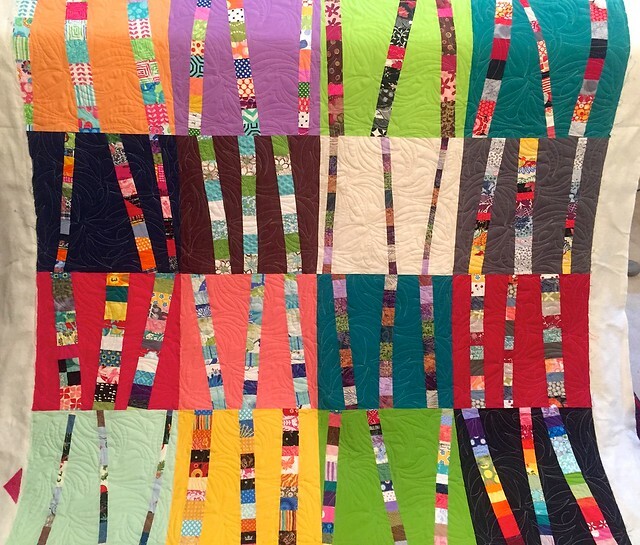 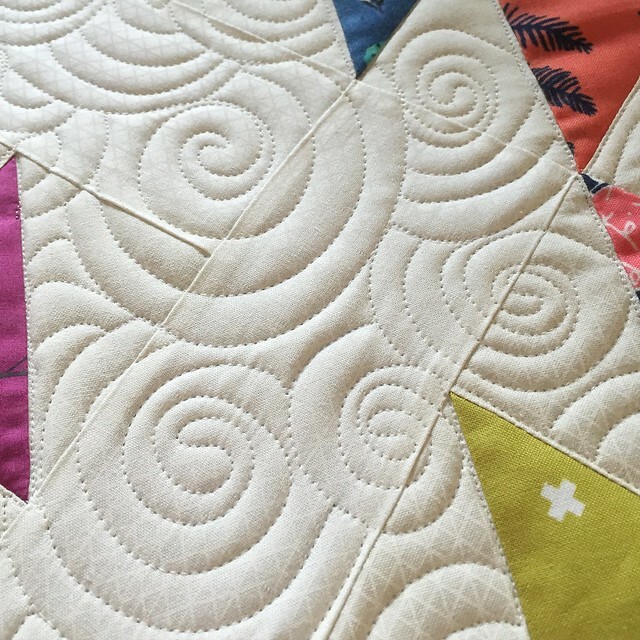 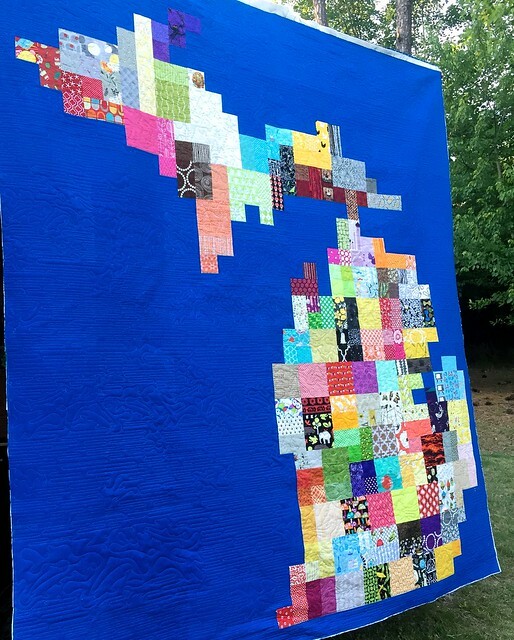 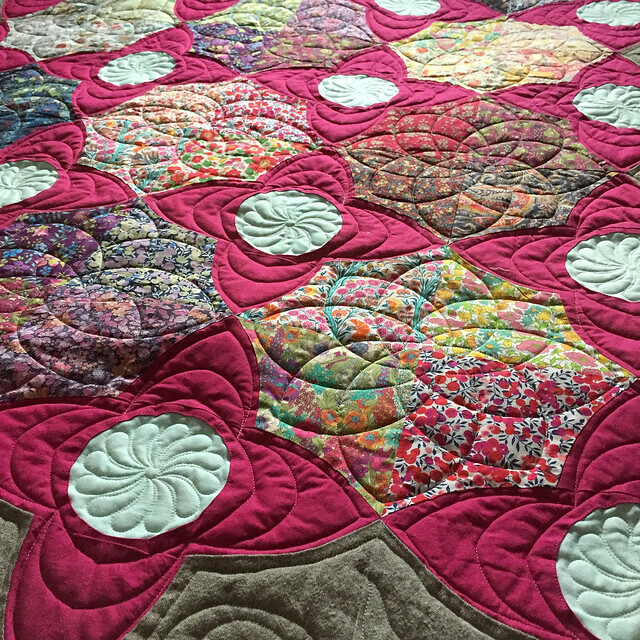 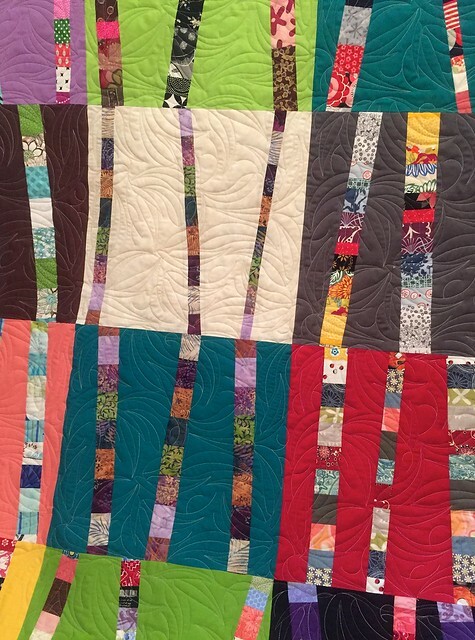 I used a light yellow thread throughout the quilt to blend with all the colors, but it may have blended a little too well because you can’t see some of the custom quilting I did at all! 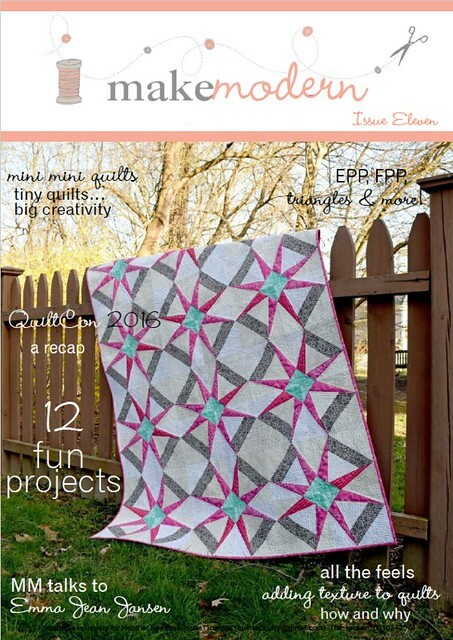 The text on the white background has ribbon candy in it. 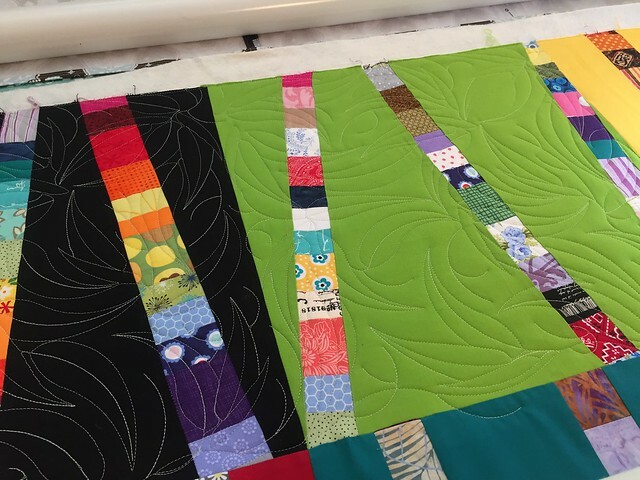 My partner mention that Anna Maria Horner was one of her favorites, so I tried to incorporate several of her fabrics. 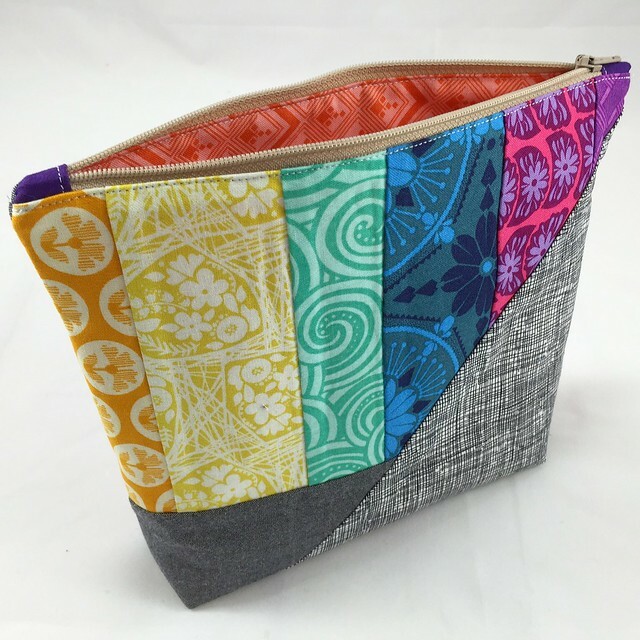 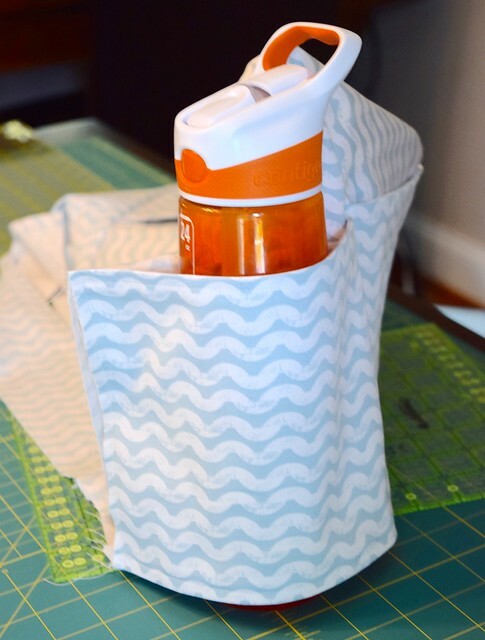 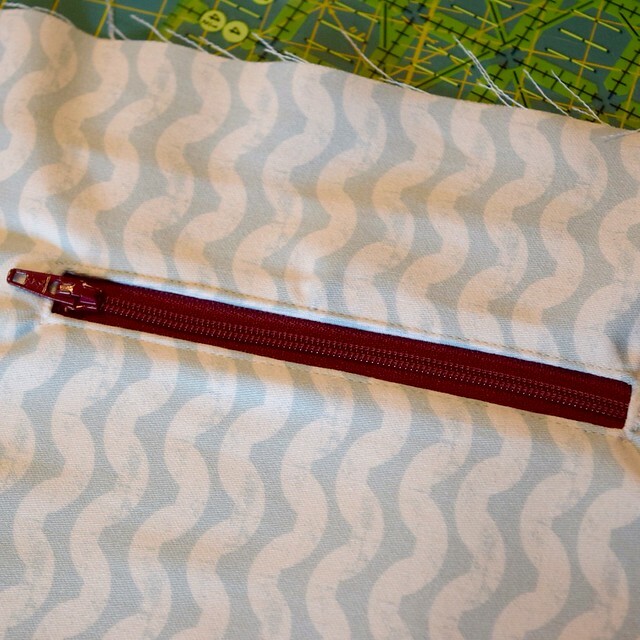 I made a coordinating zipper pouch as well, using the tutorial from The Busy Bean. 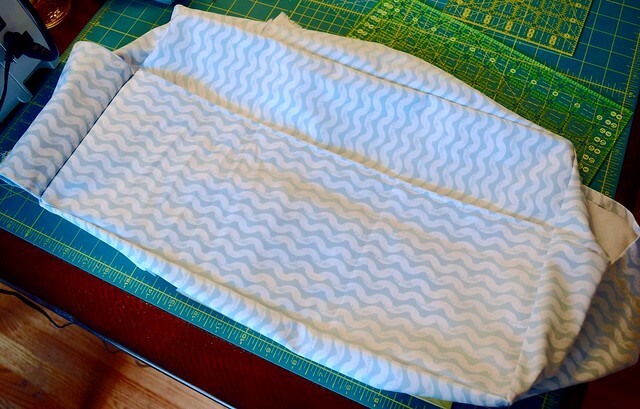 This is the mini that I received from @SewGiddy. 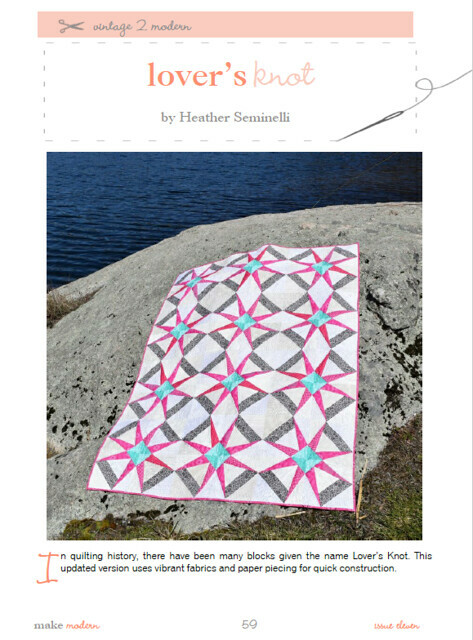 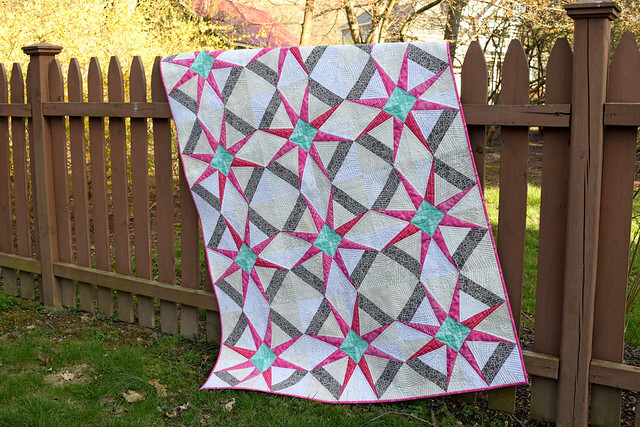 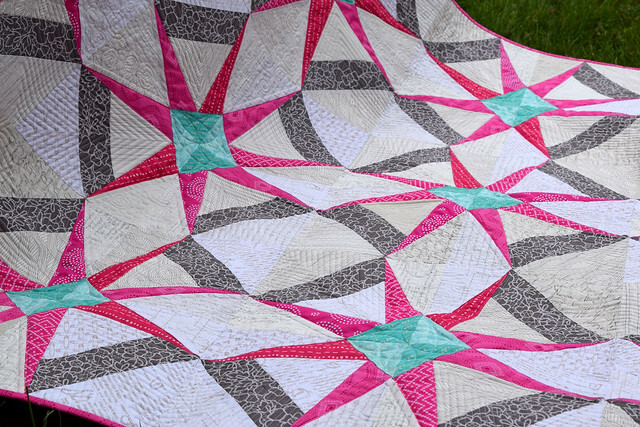 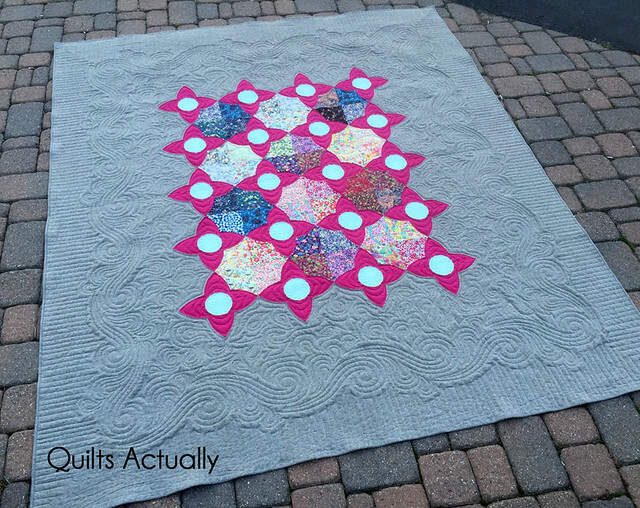 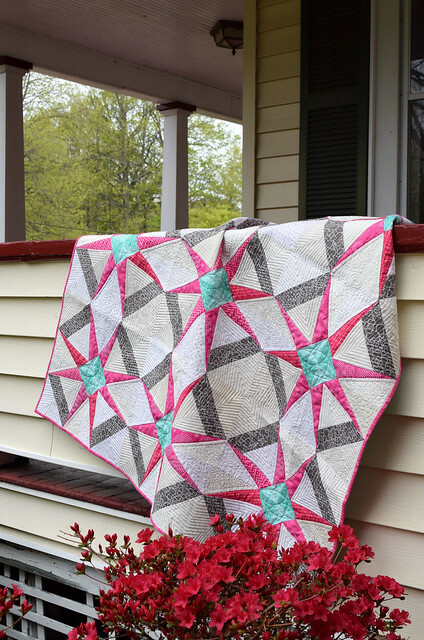 I love this block, but it’s on my never-ending list of blocks that I haven’t gotten to making yet. 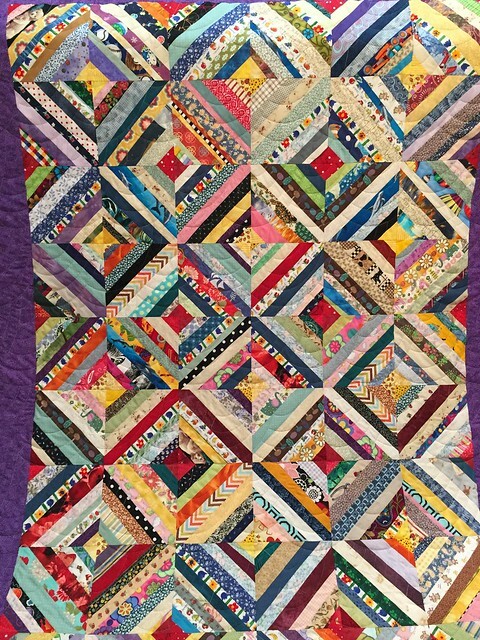 At least I have it look at in the meantime! 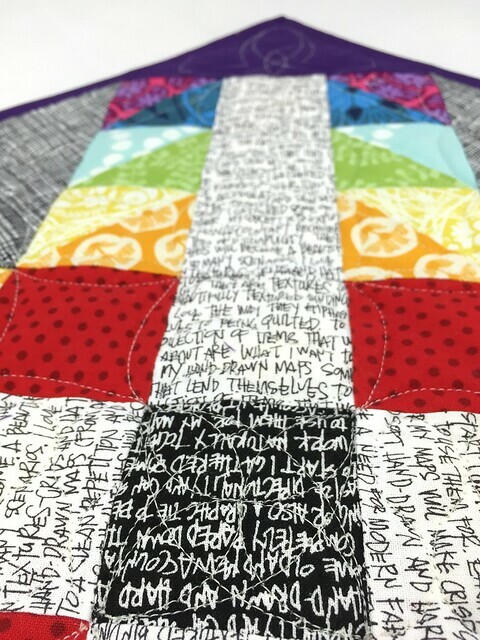 My daughter is going to have a field day with those fabric markers when I let her loose with them.